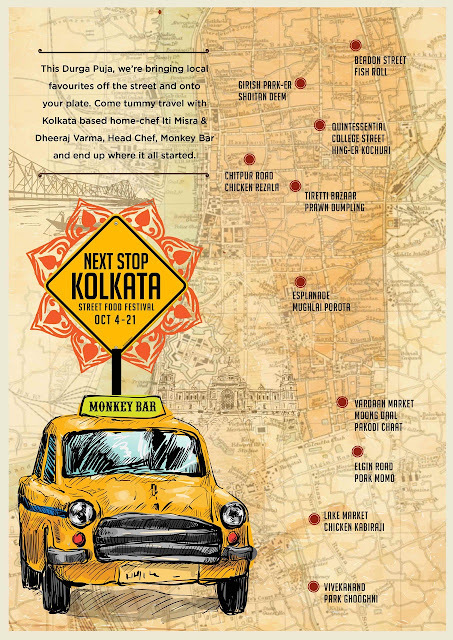 You gotta try it: Next Stop Kolkata- a Kolkata Street Food Festival at Monkey Bar for this Durga Pujo! 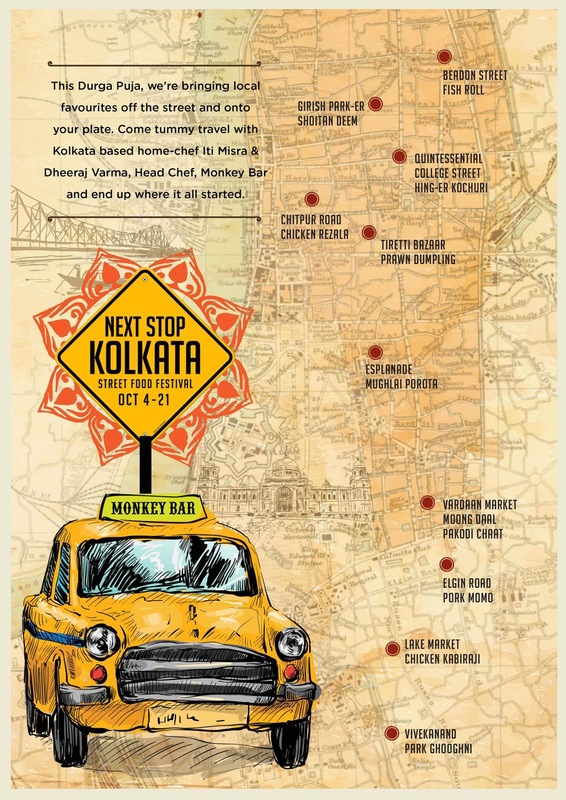 Next Stop Kolkata- a Kolkata Street Food Festival at Monkey Bar for this Durga Pujo! Isn’t an amazing feeling to experience the nook and corner of a place through a culinary journey? I am sure you will agree with me on this. Festival season is going to begin and Durga Puja is celebrated all across India in different forms. But nothing comes close to how Bengalis celebrate their Pujo. 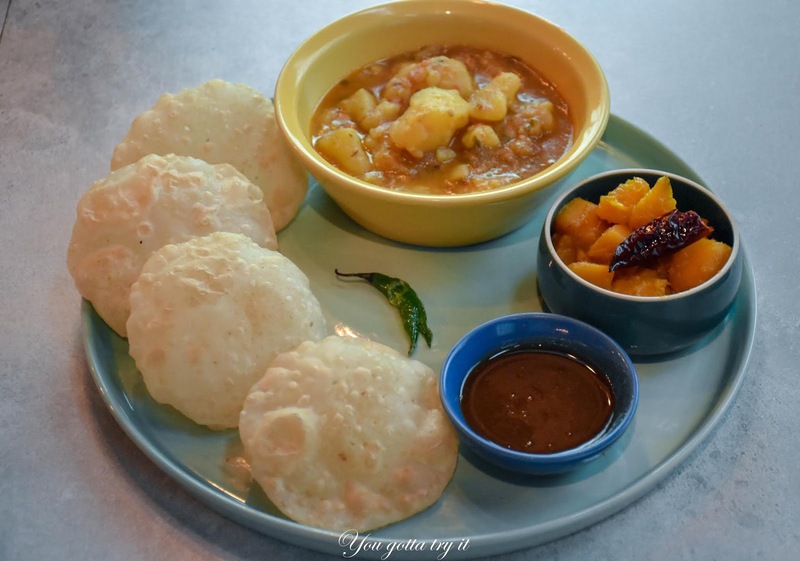 It’s the time of the year to celebrate Durga Pujo and what is festival without a Peyt Pujo? 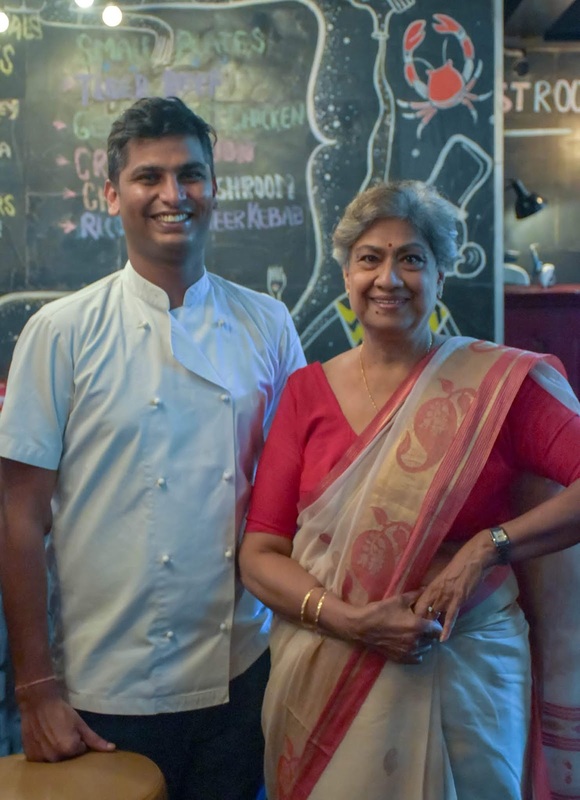 This time Monkey Bar along with Kolkata based Home Chef Iti Misra and Monkey Bar’s Head Chef Dheeraj has come up with a special menu – ‘Next Stop Kolkata’ which will surely take you through the streets of Kolkata. This festive special menu is available at all Monkey Bar outlets (Mumbai, Bangalore, Kolkata, and Delhi) and is on until 21st Oct, ’18. I just the loved the Chefs selection of dishes which has got a history of 50-60+ years and gives you an emotional attachment if you are dining with people who understand Bengali cuisine well. Beadon Street Fish Roll – Slightly smoked Kolkata Bhetki fish fillet stuffed with curried shrimps, coated with bread crumbs and fried. 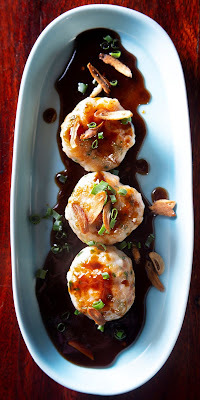 This flavorful fish roll is served with Kasundi Mustard mayo. This dish is made popular by Mitra Café in Beadon Street and now it’s is Bangalore’s favorite as well. 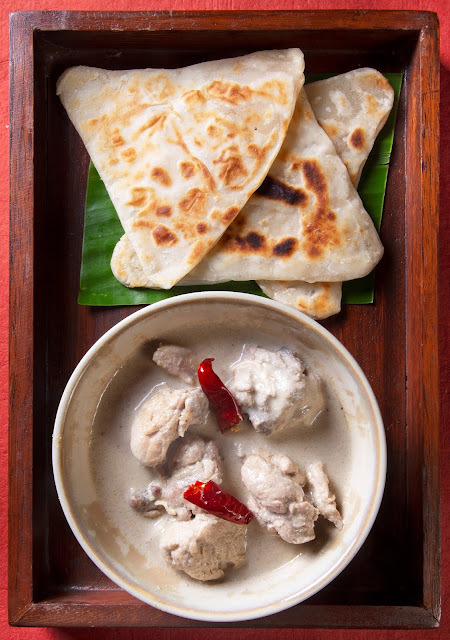 Chitpur Road Chicken Rezala – Some of the best Awadhi dishes can be found in Kolkata and an example for the same will be Chitpur Road’s Chicken Rezala – mildly flavored white colored chicken gravy made of cashew and poppy seeds. Here at Monkey Bar, they serve this lip-smacking gravy with teen kona porotta. College Street Hing-er Kochuri – This deep-fried flaky bread (with/ without filling) is a very popular dish in the Northern part of India and the importance of Kochuri in Bengali cuisine was told by some of the co-diners. Inspired by the Putiram Sweets near Presidency College/College Street, you gotta try this snack with a bowl of spicy potato curry and sweet-sour red pumpkin. I am sure you’ll enjoy this combo. 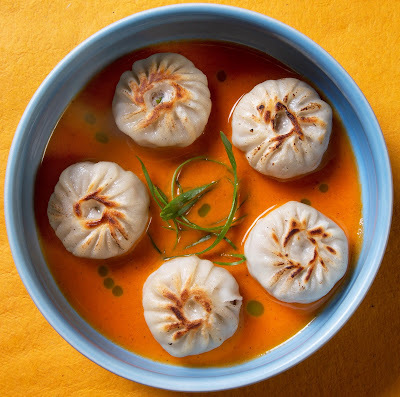 Elgin Road Pork Momo – My favorite from the menu was this steamed and pan-fried Tibetan style dumplings served with spicy, smoked tomato chutney. If you are not a pork lover then try the Tiretti Bazaar special Prawn Dumpling. 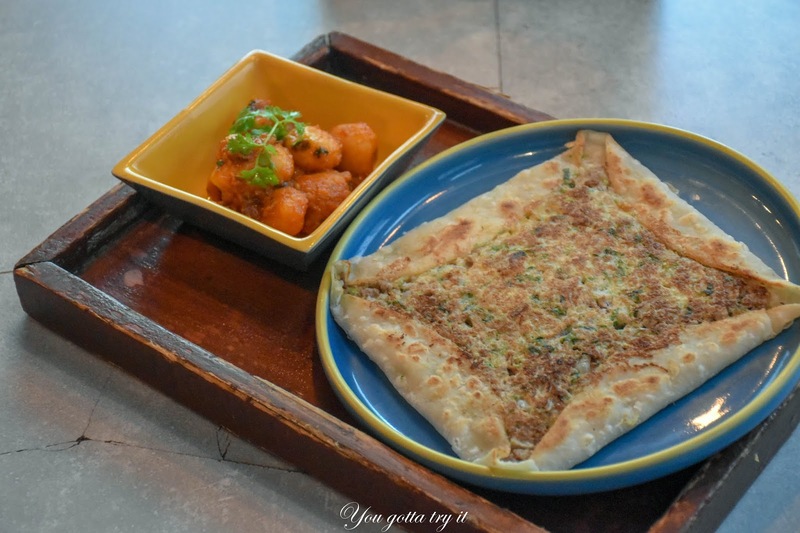 Esplanade Mughlai Porota – From the team, I came to know that Esplanade is home for some amazing street food and the best example is Mughlai Porota with layers of egg. The yummy porota is served with Paanch poron (Bengali special spice mix made of 5 types of spices) flavored baby potatoes. 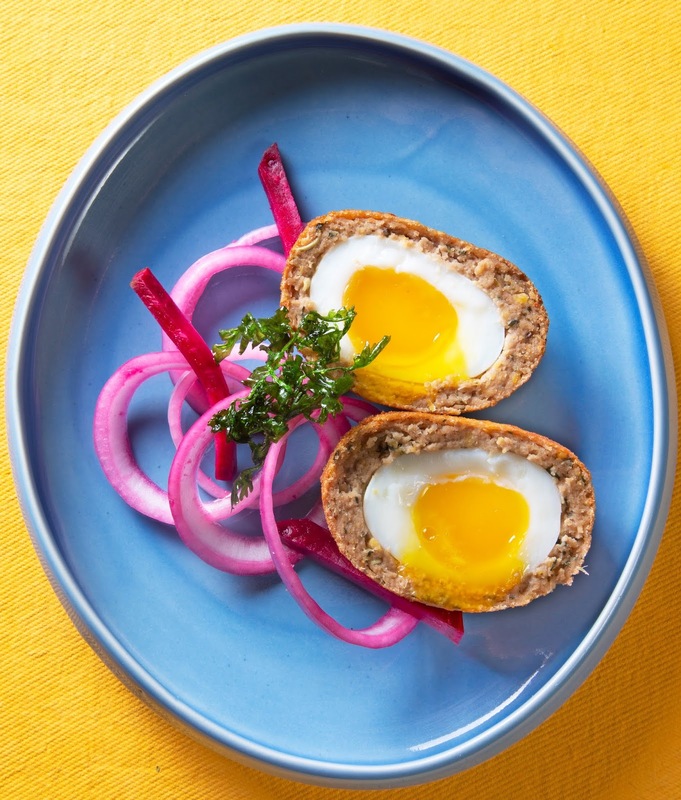 Girish Park-er Shoitan Deem – I love the way it is pronounced – Shoitan Deem, a version of scotch eggs made of deep fried eggs, encased in Shami kebab mince and served with pickled onions. Vivekananda Park Ghooghni – Curried white peas topped with potato Salli and onion, served with masala brioche. 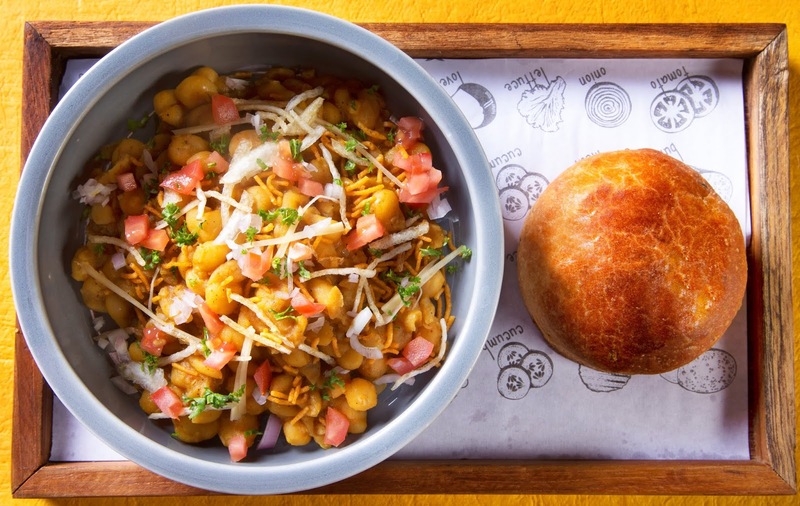 Vardaan Market Moong Dal Pakodi – Inspired by the Kolkata style ‘North Indian Chaat’ on Camac Street, this is an absolute favorite afternoon snack of Monkey Bar staffs at Kolkata. The deep fried Moong dal dumplings topped with Khatta Meetha chutney, yogurt, and crispy fried curry leaves. 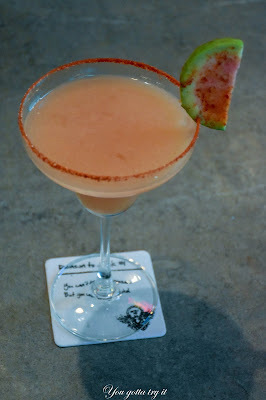 They have also added a few drinks with popular Bengali flavors. I tried the Piara Peara - the classic Guava-Chilli drink with Tequila and Tabasco-spiked and served in Chilli rimmed glass.